Today meet Dee and Lori. Or Lori and Dee. Two good friends who have become dear friends of Sandy's too. We're all in the same monthly stamp group, and these two help out regularly as triage nurses for OWH! Dee: I would say over 10 years. A cousin took me to a stamp store while I was visiting in Montana and I’ve been at it ever since. 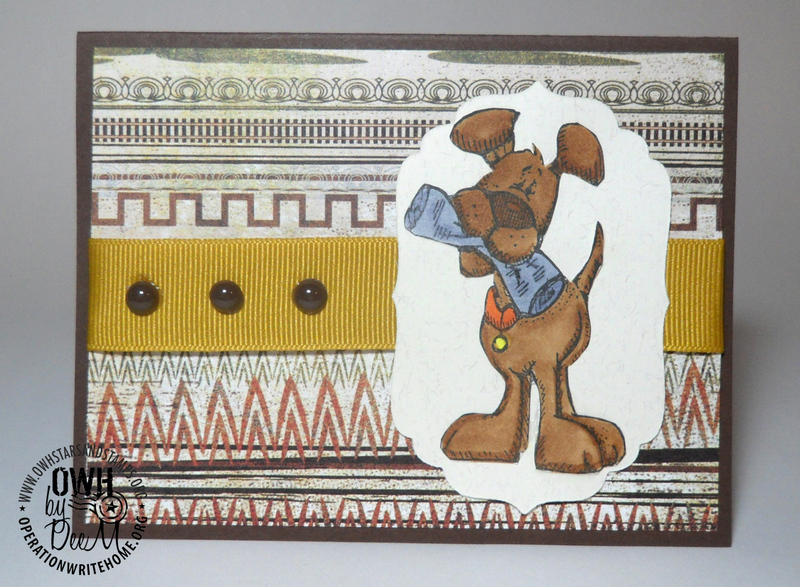 Lori: I started scrapbooking in the late 90’s, but when I started working at a scrapbook store a few years later, I learned many new techniques and discovered the supplies I already had could be for all kinds of paper crafts. Dee: I am very lucky to have my own craft room. No kids at home anymore so I am able to take one out of the 3 bedrooms and have it as my craft room. Lori: I do have a “scrappin’ shed”, but it is not weather-proofed, so most of my crafting ends up at the dining room table. I’ve kind of taken over that area! Dee: It changes all the time. I would say at the moment it is my Copic Markers. I’m still trying to teach myself how to use them. 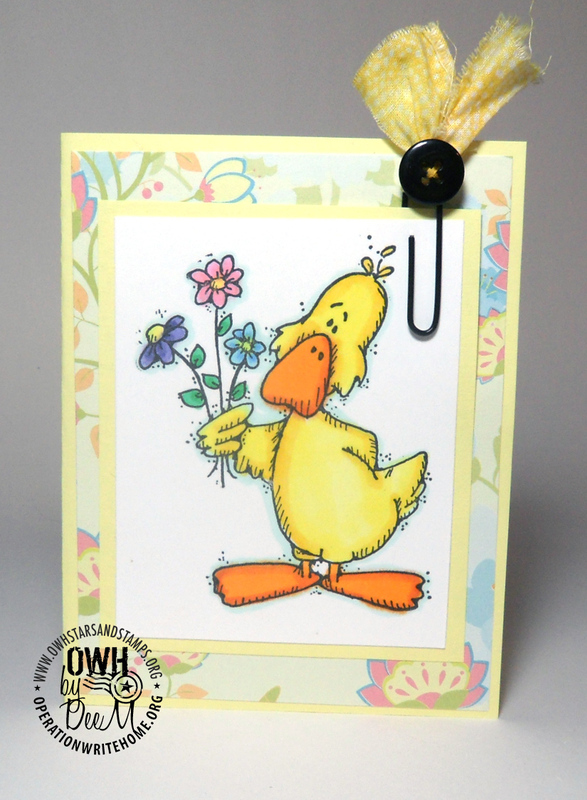 Lori: I have been slowly changing over to all acrylic stamps, and just love the ease at which it allows me to place the images exactly when I want them to go. Plus, the sheets take up so much less room to store! Dee: I guess I would have to say layering! Lori: I seem to gravitate toward inking the edges, rather than adding color with additional layers. Dee: Anything goes. I tend to like spring colors the best tho. Lori: I tend to go for the bright & bold colors. I like florals, but usually make them bright as well instead of pastels. Dee: My friend Lori and I were talking about donating to the troops one day and she found OWH on line. Have been making cards ever since. I think it is a wonderful outlet for me and my hobby. I don’t have crates of cards sitting around anymore. 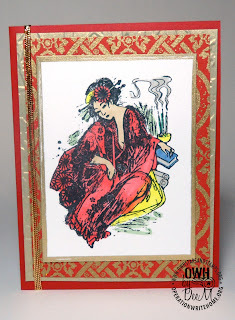 Lori: I was participating in a “Secret Sister” swap and my ‘sister’ Judy had told me all about the fabulous prize package she had received by entering an OWH challenge. 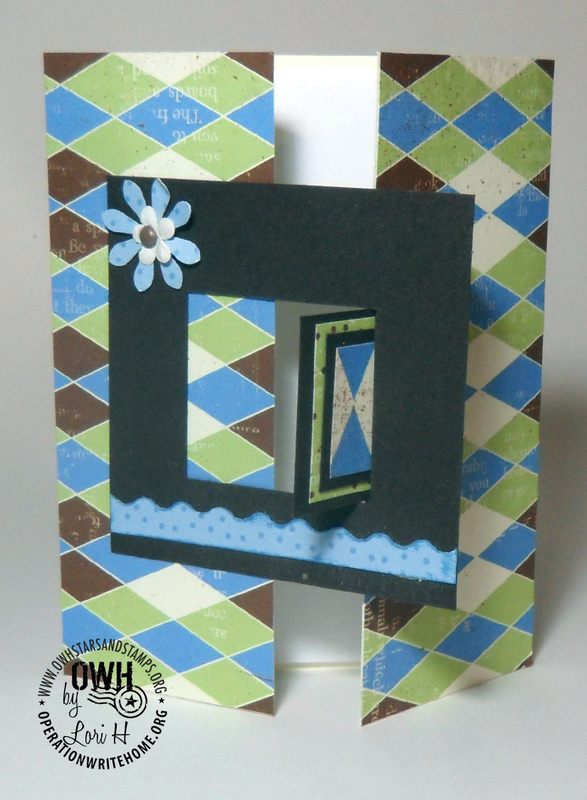 Being unfamiliar with OWH but excited to find other papercrafters in my area, I found Sandy ~ and the FUN began!! Dee: I think it’s a good thing to do for the heroes and their families. Lori: When I help our Little Ones in the Sunday School classes make AnyHero cards, I tell them to think about what they would want others to do for them if THEY were the ones deployed, fighting to protect our freedom. What would they want to read about life at home? 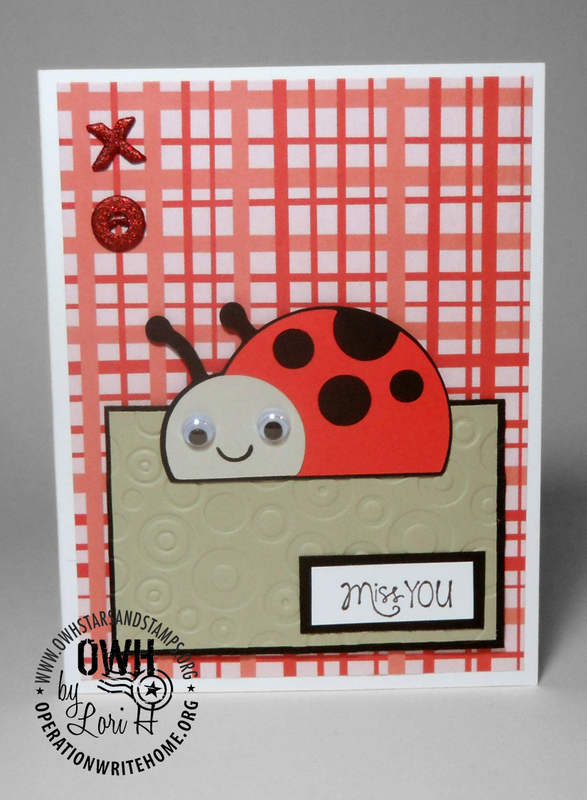 Wouldn’t THEY love to get beautiful cards to write letters on to send home to their loved ones?? I know I would!! Our HEROES risk their lives to make OUR lives better; don’t they deserve ‘special thanks’? Beautiful cards by two very talented ladies! 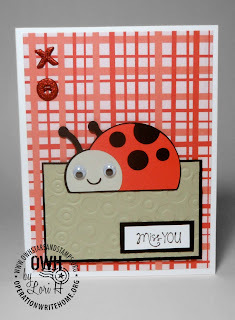 I'm crazy about the ladybug card; that would make a sweet Valentine, too! Wonderful cards Lori & Dee! Thanks for sharing your creativity and thoughts with the rest of us and for being top-notch "triage nurses" for Sandy.